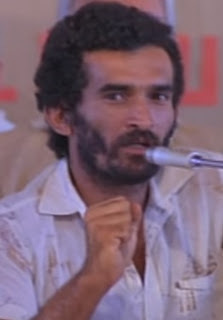 Ezechiele Ramin, a Comboni missionary who was shot to death by hired killers after standing up for the rights of peasant farmers and traditional tribesmen in a remote rural area in Brazil, was born on this day in 1953 in Padua. 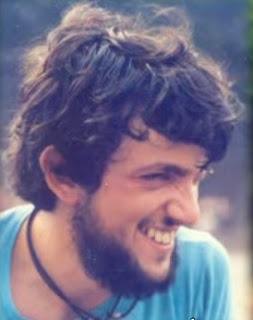 Ramin was only 32 when he was murdered in July 1985, having worked in the South American country for about a year and a half. 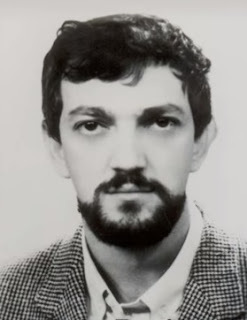 He had already completed missionary assignments in North and Central America, worked to help victims of the Irpinia earthquake in Campania and organised a demonstration against the Camorra in Naples before being posted to Brazil. He was based in the state of Rondônia, an area in the northwest of Brazil next to the border with Bolivia, where small farmers found themselves oppressed, by legal and illegal means, by wealthy landowners, and where government measures had been introduced to curb the freedom of the indigenous Suruí tribes. Ramin, an easy-going and popular man who amused himself by making sketches and playing the guitar, tried to solve the problems by arranging for a lawyer, paid for by the Brazilian Catholic Church through the Pastoral Land Commission, to act on behalf of the peasant farmers to see that their legal rights were properly observed. This led to Ramin finding himself regularly threatened by the same armed gangs, hired by the landowners, who intimidated the rural workers. He was advised by his superiors at the Comboni Mission to act with caution but he continued towards his goal and on July 24, 1985 made a journey of around 100km (62 miles) from the city of Cacoal, in the Amazon valley, where he was based, to a large estate called the Fazenda Catuva. He had with him a trade union leader, Adilio de Souza, to chair a meeting of peasant farmers. The meeting broke up and he had left the estate at the start of his return journey when a gang of seven armed gunmen, hired as an assassination squad by the landowners, ambushed the car in which he and De Souza were travelling and opened fire. De Souza managed to escape but Ramin was hit by an estimated 50 bullets. The irony is that feelings ran so high at the meeting he had attended that he spent much of it trying to persuade the farmers not to take up arms against the landowners, urging a peaceful solution. His body was recovered by his fellow missionaries the following day, having been protected overnight by Suruí tribesmen, before being flown back to Italy for burial in the Cimitero Maggiore in Padua. The possessions that were brought back with him included a substantial number of sketches, mainly in charcoal, which were displayed some time later in an exhibition in Padua. 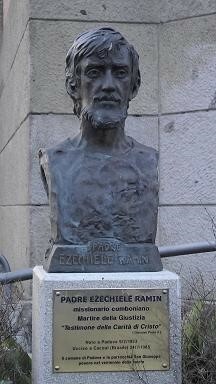 A few days after his death, Ramin was defined as a “martyr of charity” by Pope John Paul II. Ramin had been born in the parish of San Giuseppe in Padua, the fourth of six sons in a family of modest means. Known as Lele, he was a handsome boy who, according to some of his male friends, always seemed to be surrounded by groups of girls. He was described as outgoing and sporty, with a particular enthusiasm for cycling. In ball games he was highly competitive and if ever he lost he would always challenge his opponent to an immediate rematch. But his family always encouraged him – and all of his brothers – to be true to their Christian principles and think about the wellbeing of others, and when Ezechiele became aware of how much poverty existed around the world he joined a charity called Mani Tese (Outstretched Hands), organising fund-raising activities to support projects in the Third World. In 1972, he decided to join the religious institute of the Comboni Missionaries of the Heart of Jesus. His studied in Florence, in Venegono Inferiore, in the province of Varese, and in Chicago, where he graduated from Catholic Theological Union and served in the St. Ludmila Parish. He did his first missionary work with impoverished Native Americans in South Dakota and later in Baja California in Mexico. Ramin was ordained a priest in 1980 in Padua. He was assigned to a parish in Naples but, following the 1980 Irpinia earthquake, he moved to the village of San Mango sul Calore, near Avellino, to assist survivors in an area almost completely destroyed. Back in Naples in 1981, he organised one of the first peaceful demonstrations against the Camorra, the ruthless Neapolitan equivalent of the Sicilian Mafia. 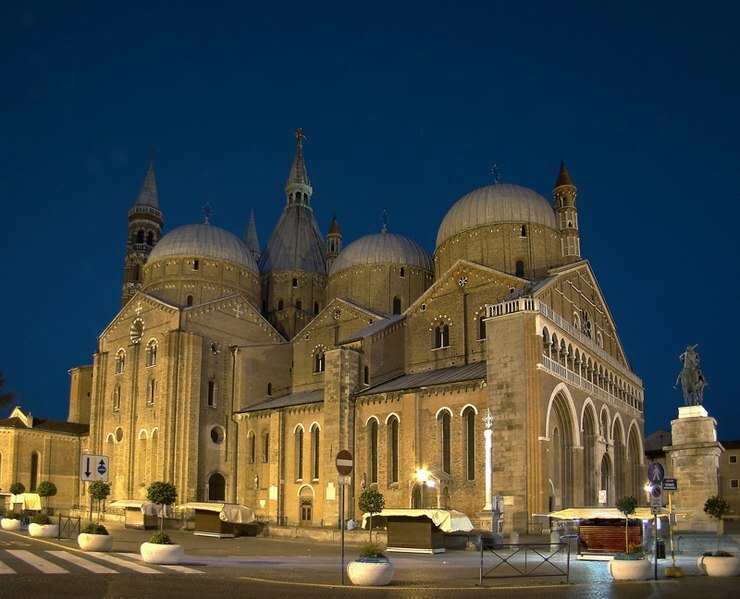 In 2005, on the 20th anniversary of his death, a bronze sculpture created in his honour by Ettore Greco was unveiled in Piazza San Giuseppe in Padua, in front of the church he used to attend as a boy. In the same year, an icon depicting Father Ezekiel – as he was known in Rondônia – with a dove of peace was painted by Robert Lentz for the Chicago Catholic Theological Union. The Comboni Mission, meanwhile, is trying to promote the idea of Ramin being beatified and, in time, made a saint. 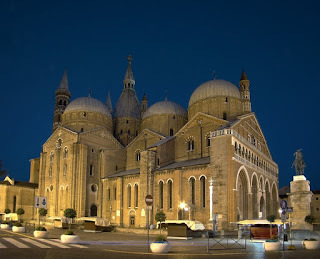 The city of Padua in the Veneto – Padova in Italian – would almost certainly attract more visitors were it not for its proximity to Venice, which is less than half an hour away by train. Apart from being a picturesque city to explore, with a dense network of arcaded streets and several communal squares, it is the home of the Scrovegni Chapel and its wonderful circle of frescoes by Giotto, the vast Palazzo della Ragione, the Teatro Verdi, the elliptical square Prato della Valle and the two basilicas, of St Anthony of Padua and Santa Giustina. 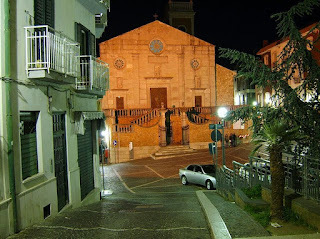 Irpinia, which was the centre of the earthquake in 1980 that killed at least 2,500 people and possibly nearer 4,000, is an area of the Apennine Mountains around the city of Avellino, about 55km (34 miles) inland from Naples. A largely mountainous area, it has a great tradition for producing wine and food. The Greco di Tuffo, Fiano di Avellino and Taurasi wines are indigenous to the area, while local produce includes scamorza and caciocavallo cheeses, sopressata – a type of salami – and sausages, as well as chestnuts, hazelnuts and black truffles. 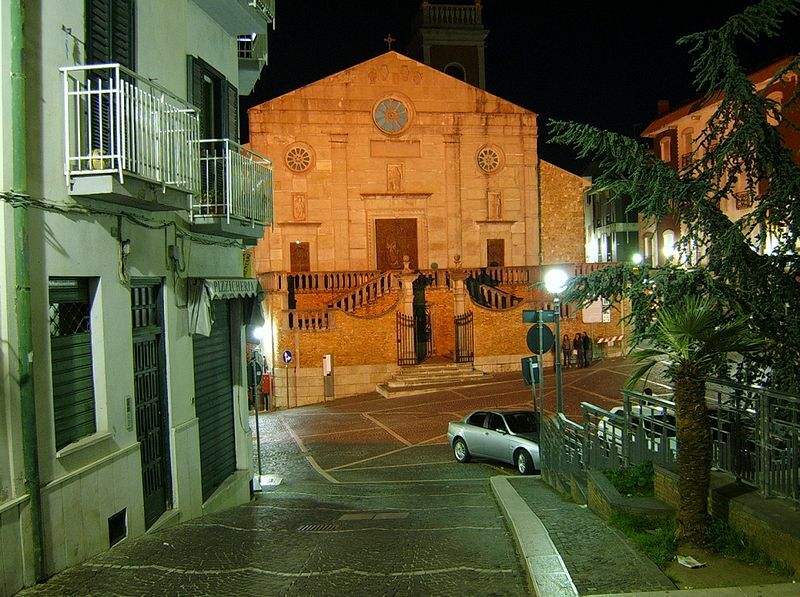 Ariano Irpino, a town built on three hills, is a popular destination for visitors to the area.